Hack your homework this semester! Simply add your class name, teacher info, and class meeting times. Then add your homework assignments. Genius! 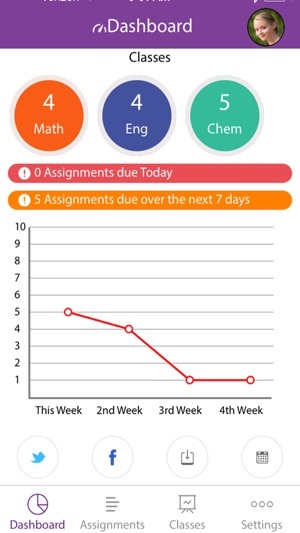 Import homework assignments and Homework Suite will automatically remind you before your assignments are due! 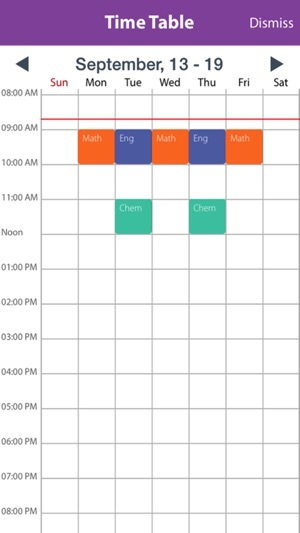 This is an easy to use planner with customizable homework reminders, attendance tracker, import syllabus, social media sharing, timetable and the ability to email your teachers and project group members from the app! Simply enter or import your tasks and exams and allow Homework Suite to remind you of what's coming due and what class is coming up next. College students will love this planner because you can simply import your syllabus assignments! Did we mention they will show up on your Google calendar too (Pro feature)?! Get more resources at www.TheAchiever.me. 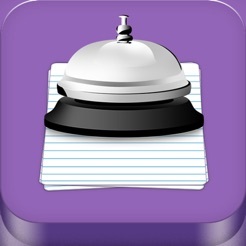 •	Add multiple reminders for each task. •	Display an organized assignment feed and calendar view to quickly see what tasks are due and when. •	Glance at a useful dashboard to visualize what's due today and over the next several weeks. •	View the timetable to see your schedule at a weekly glance. •	College students: Import your syllabus assignments from your computer to your device. No more manually entering assignments. •	Share your dashboard via Facebook and Twitter so your network can wish you luck and support you during busy times. •	Store your teachers’ and study partners’ contact information. •	Email your teachers and study group members directly from the app. •	Color code your classes for easy reference. *Be Proactive From Now On! •	Track school attendance and class tardiness. 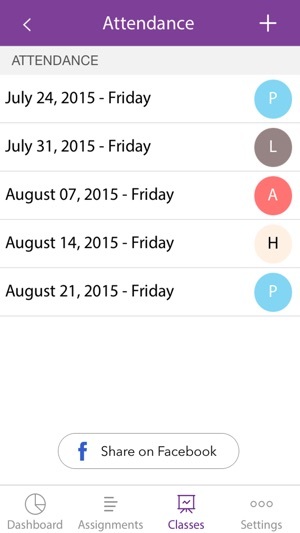 •	Sync to your mobile phone calendar so that you know what school tasks are due when making plans. •	Snap a picture of a handout or notes from your teacher and add it to the notes of a particular homework. 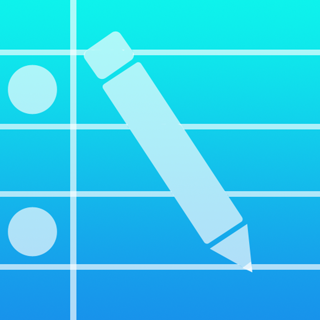 •	Enter sub-tasks so that you can create your own homework study plan and break large assignments into manageable pieces. 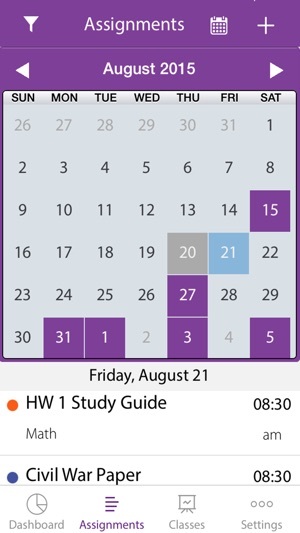 Homework Suite planner was created by a college professor to help you be successful in school by staying ahead of your homework and managing your attendance and group work. Let our academic planner help you reach your academic goals! Download our agenda for free today. We would love to hear how it’s helping you. Upgrade via in-app purchase to track unlimited classes, attendance, and import syllabus. ALWAYS ensure iCloud calendar is ENABLED and reach us on our website or email us at support@homeworksuite.com and like us at www.facebook.com/homeworksuiteapp or at www.TheAchiever.me. Thank you! 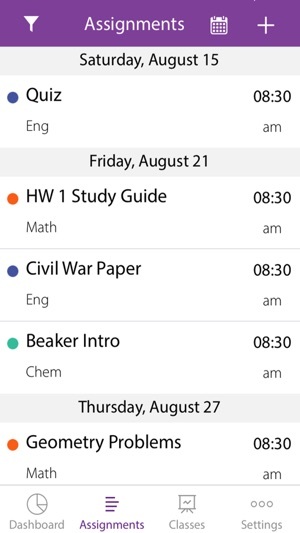 Made our Homework Reminder app more efficient for high school and college students. Be sure to import your syllabus! I'm a traveling mom that sometimes obsess over trying to help my teens stay organized and submit things on time. This definitely helps because it's easy for my kids to share screen shots with me, easily communicate what they need and it helps them to stay on task independently. I noticed my students were having a hard time remembering assignments and due dates bc they never looked at their syllabus but this app has made it easier for them to stay on top of due dates and communicate with me using what they always have any way their phone !!! The app is efficient and easy to navigate. Having the ability to track the status of my work and easily access it from my phone has been a lifesaver since I'm constantly on the go.